As the Indian beauty industry is experiencing an unprecedented shift towards luxury retail, big spenders have become darlings of these brands. Here’s a road map to reveal how luxury brands are betting on high spenders. When it comes to quality and result, luxury products reign supreme. Usually associated with a big price tag, luxury brands ensure that the consumers dig deep into their wallets and indulge in their high-end products. Premium brands flocking the high streets, seeing heavy wallets of high spenders who are demanding and getting extraordinary results from the products offered by them, have acute focus on capturing attention of their target consumers by providing ‘just the way you like’ products. An insatiable appetite for high-end merchandise is fueling a boom in luxury spending. Also, with the rise in income level and growing awareness, the demand for luxury products has been growing by over US$255 million a year in absolute terms, at par with the United Arab Emirates and considerably stronger than Singapore and Australia. As per a recent report of Euromonitor International, while China has been spearheading the BRICs growth surge and whetting the emerging market appetite of the world’s leading luxury goods companies, India is by far the fastest-growing market and is predicted to grow by an additional 86 per cent in constant value terms between 2013 and 2018, to reach a value of US$3.5 billion. Moreover, the report also mentions that the total luxury goods retail value in India is expected to grow by 63 per cent during the period. Increasing disposable incomes and rise in the number of high net worth individuals will provide an opportunity for luxury goods players in India. Similarly, some big market players believe that economic growth and optimism has played a pivotal role in luxury retail boom. “The primary driver for this is indeed the growing economic influence of India not only in Asia but worldwide. Overall there is immense economic optimism championed by a young Indian population that is more aware, more well-travelled and more exposed and connected than ever before. This growth can also be attributed to the increased initiatives by both domestic and international beauty players who are ensuring that the country is aligned to the global products and services offered,” added Benjamin Suzuki, Managing Director, Shiseido India Pvt Ltd.
It’s not just the demand that is surprising the experts. An unexpected new shopping trend where men and women are equally conscious of their looks and wellbeing is pushing luxury brands to new heights. A new breed of high spenders is out in full force, where women spend like men and men shop like ladies. Beyond the role reversal there's a new group of shoppers with a spending habit that's setting the luxury world on fire. Stores are another essential element that encourages the growing demand of luxury products. The ambience, expensive décor and high-end products on display make a luxury retail outlet attractive enough to lure big spenders. Even in-store cafes and lounges are also a new trend introduced by both international and high-end Indian brands. As, consumers do not wish to compromise on the connoisseurs of luxury, high-end luxury retail outlets provide ‘frills' to the well-travelled Indian consumer. Thus, all the big brands have opened their stores in the country with unique décor, inspired from their global outlets. The most pivotal part of luxury retail is the staff which not only addresses the demand of consumers, but ensures that the consumer makes bulk purchases on every visit. Thereby, these luxury brands are willing to spend good money on the staff training. Not only this, even the process of staff selection has become critical. The candidate must have good communication skills, be well groomed, have a sense of marketing and zeal to achieve targets. Online may seem to be the new prime location for sellers in India. However, the high-end luxury brands are still keeping away from the virtual retail world, for reasons ranging from brand exclusivity and fear of fakes to rule of the land. Still, some players who have entered this category to capture the growing market share have seen rampant growth in this area. “We have already started e-tailing in India with strong associations with main renowned portals. Otherwise our expansion plan is to still grow our store portfolio by opening new boutiques whenever there is a good project in hand,” informed Moutounet. Not only showrooms, high-end stores and e-tailing, but direct marketing brands are also witnessing good growth and in turn reaping high return on investment on luxury products. Shweta Paul, Head, beauty Category, Amway India unveiled the substantial growth in advance skin care and colour cosmetics range – Artistry. To woo the high-spenders, luxury brands also offer complimentary maintenance products and styling help and other related services. Estee Lauder offer personal stylist and makeover help to the high-end regular customers likewise other brands often introduce additional services or products in the kitty of their regular clients. The growing demand of luxury retail brands in India contributes significantly to their revenue ratio as well. “Growing on a marginal ratio, L’Occitane has more than 2,300 stores worldwide with only 14 doors in India,” said Moutounet. Historically, kings and Nawabs were connoisseurs of luxury and never used to compromise on their comfort products. Similarly, the high spenders’ lot of Indian market garners huge attention and in return they prefer luxury retail brands to splurge on. Reportedly, the overall luxury retail market has grown at 23 per cent since 2006. The luxury products market which includes apparel, watches, jewellery, electronics, perfumes and beauty products has grown at 30 per cent, reaching a market size of $2 billion. As per Euromonitor International data, the Beauty and Personal Care market is expected to register value growth of CAGR 14 per cent in real terms over the forecast period 2015-2020. Interestingly, the market is expected to almost double itself from Rs748 billion in 2015 to Rs1440 billion by 2020. “If you further split Rs 1 lakh crore, the beauty sector is positioned at Rs 49, 000 - Rs50, 000 crore. Of which, Rs 25,000 crore is occupied by fitness, health and other regular therapies, while the remaining Rs 25,000 crore is occupied by other alternative therapies,” predicted G Ramachandran, Director- Promoter, Gold’s Gym India. Even though India’s overall per household expenditure is low in comparison with the country’s BRIC counterparts, there are large variations in household spending levels and consumption patterns in richer regions like Delhi, Goa and Mizoram, with great capacity for luxury spending. Thereby, experts suggest the marketers of luxury goods must implement multiple business strategies, tailoring to each region and target high-spending lot, in a bid to successfully harness the tremendous potential of the Indian luxury goods market, also to retain the existing consumers in the category. 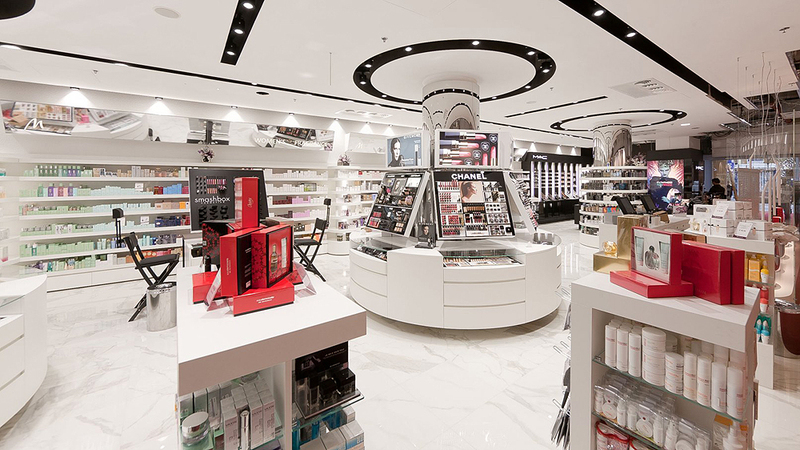 Overall, a bright future of luxury retail in Indian beauty and wellness market is foreseen in the upcoming years. 7 tips to enhance reach of your wellness portal..